Your lifestyle choices can have a big impact on your health and quality of life, and the reverse can be true. For example, poor lifestyle choices such as smoking or overeating, can affect your physical health, which might then make it difficult or impossible to enjoy life and get on with day-to-day activities. Sometimes health problems can be the result of external factors you have no control over, such as chronic pain from a car accident or a medical condition. In most cases, your health and lifestyle is the result of the choices you make. 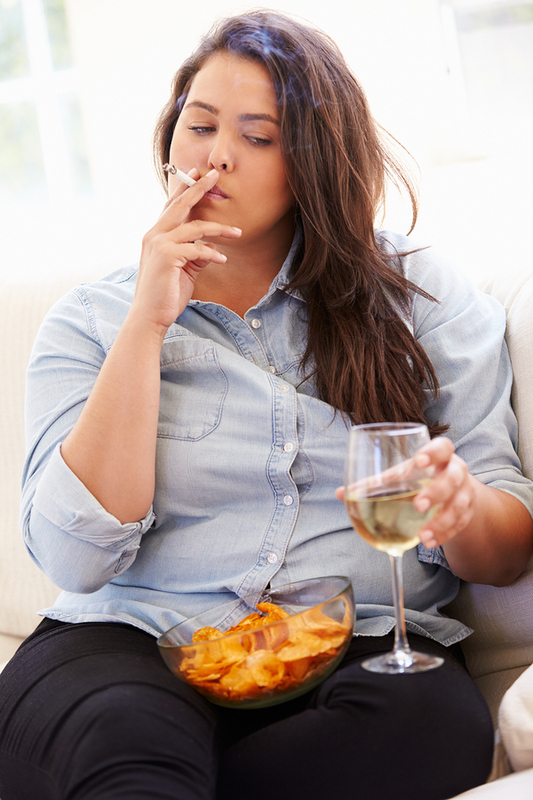 Smoking, drinking too much alcohol, overeating: you probably already know these habits aren’t healthy, and of course, the list goes on. You may engage in these behaviours to cope with uncomfortable emotions, such as anxiety or sadness. Yet you find in the long run this doesn’t make you feel better. You may be left feeling worse emotionally, and you may experience lasting health problems such as high blood pressure, that only make things worse. A more helpful response to these situations is possible. This involves identifying any problematic health issues, and poor lifestyle choices, and working towards a balanced and healthy lifestyle. Learning how to manage any uncomfortable emotions and stress is also very important in protecting you from making poor lifestyle choices that may affect their quality life or health. These issues affect us all in some way. Which of these issues do you struggle with? Have you ever wondered why you find it so hard to stop drinking? Are overeating or other poor lifestyle choices a problem for you? Our highly trained Clinical Psychologists are here to help you learn how to make more helpful choices, maintain a balanced lifestyle, and keep your body in mind condition.